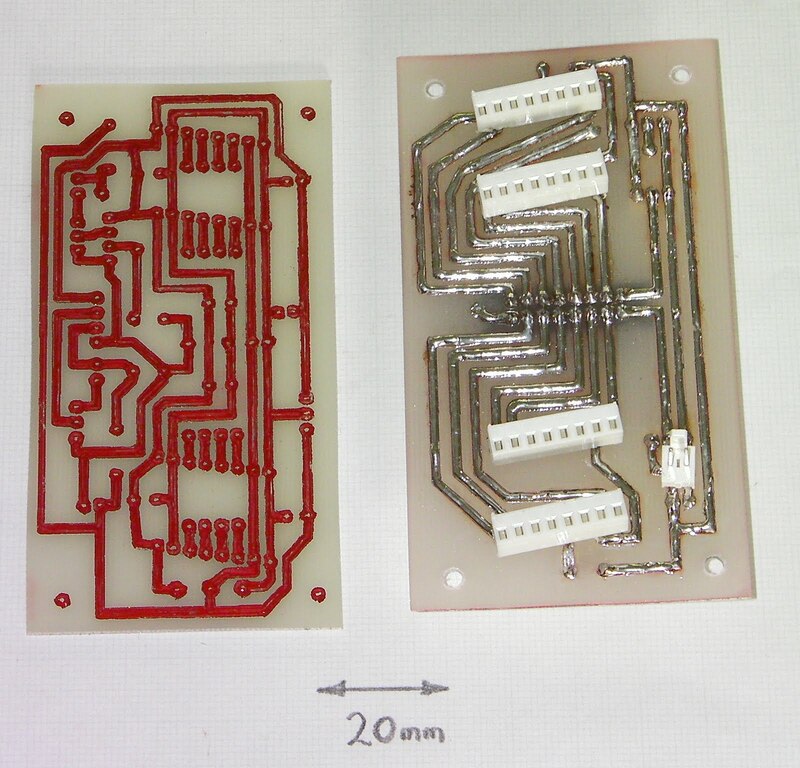 Several people are starting to work on having RepRap make electronics. This includes, of course, making its own circuitry. 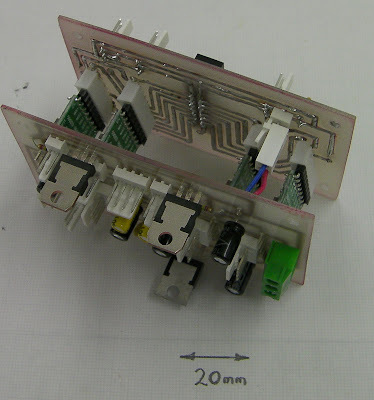 For example, I'm pleased to say that this blog post itself is rather eclipsed by Johnny Russell's beautifully neat Arduino Mega Shield made in a RepRap here. which you can see fully-assembled at the top of this post. They (together with an Arduino Mega) are a full set or RepRap electronics that you can make in the machine itself. It's all described here. The software is, needless to say, rather experimental. It is described here. When it's been tested a bit more, we'll do another release with it in. In the meantime, it's all in the latest code in the RepRap Subversion Repository. I placed a warning on wiki page about this. I ideal would be to work with Free Software like KiCad. Does KiCad have an equivalent of the Eagle Job file? If so, this will work with both. To elaborate: all it needs are a Gerber file for the copper layout and a drill file. I'm sure KiCad can do those. If you can tell me how it does, I will add that facility. It should be very quick to do. Why do you need to do anything? Gerbers and drill files are an industry standard format. Yes - that's what I mean. If someone who knows KiCad can add to the wiki page how to write the equivalent four Gerber files out of KiCad to those it uses from Eagle, it should all just work immediately. There is a small subtlety: it needs two drill files, one the mirror image of the other (which Eagle will write automatically, and I presume should be easy for KiCad too). Will your program required these to be renamed, or can it open files with different names? You can make a drill file with whatever file name you want (default my_pcb.drl)and there is an option to invert the y-axis. I can easily add different extensions to the list it searches for. As far as the drill file is concerned, I'll just add a file-load menu that only pops up when it can't find the drill file it's expecting. That should be all that's needed. On original text of wiki page, It looked to me that it was some specific files outputed from Eagle. So, if the files are gerber, and drill files, KiCad do output them -- also GerbView program helps to view and convert textfotextr other files if needed. Adrian, your work/solution seems much better than that of me using Blender to make a 3D shape from Gerber files and after convert to GCode with Skeinforge. I think it would be better to not use the drill file, to simplify! Drill file should just be needed for drill! Could you briefly explain, why you need to have a mirror drill file? I suspect it's because you want to be sure that the bottom copper is orientated properly, or squared on the bed before drawing the etch resist on that side, correct? ... i'm milling and drilling my PCB's with my CNC-mill from DXF- or G-Code/ISO-code made from exports of Eagle or Target. The common milling/drilling output made by the programs isn't really usefull for me, so i import them in my CAD/CAM, optimize some specifics, add outlines and other stuff and save in NC-code for my CNC. Grogyan - the drill file is just used to mark the centres. If you plot a gerber file you get, for example, solid pads with no central hole. If you are drilling a board by hand it's really quick to do if you've etched away each centre with a small hole. That hole has nothing to do with the drill diameter. But it stops the drill skidding about over the copper. I though I'd give you a heads up. If you don't know, the PS3 has been hacked. As a consequence, supplies of Atmel processors are vanishing (30million pS3 owners, maybe 100k cpu's world wide). This bound to have a knock on effect to reprap. Can someone educate me on why the regular extruder (with a different material perhaps) can't be used to create the etch resist lines? from what I've seen the plastics used in reprap are actually etch resistant so it shouldn't be an issue as far as etching goes. Getting them off the non-etched surfaces may be a problem. I think the extruded line thickness is more consistent and thinner than the markers used which tend to produce thicker lines. Maybe a different kind of material, something like a wax+plastic mixture can be used for extruding etch resist lines? Has anyone tried this with regular wax in the extruder? PLA definitely sticks to copper, see http://hydraraptor.blogspot.com/2010/04/cu-pla.html. I don't think anybody has tried etching it yet.